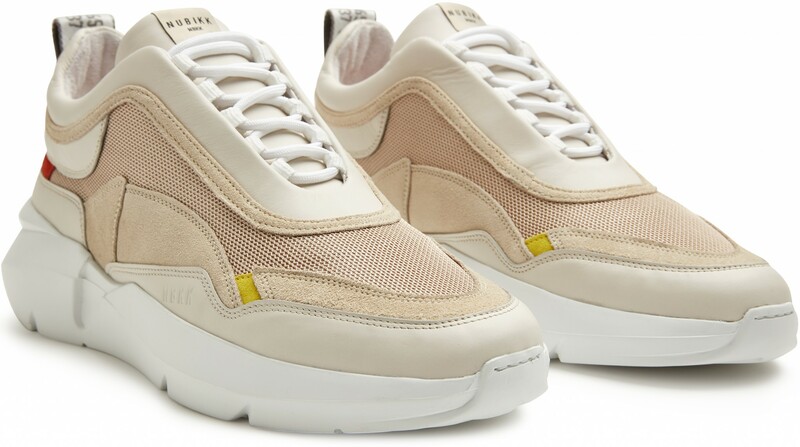 Elven Boulder, Nubikk’s newest family member, is a beige men’s trainer made of high-grade leather. Equipped with the unique Nubikk elements and an extra comfortable lightweight sole makes it a must-have for your wardrobe. Meet Elven Boulder a men’s trainer and the newest member of the Nubikk Family. 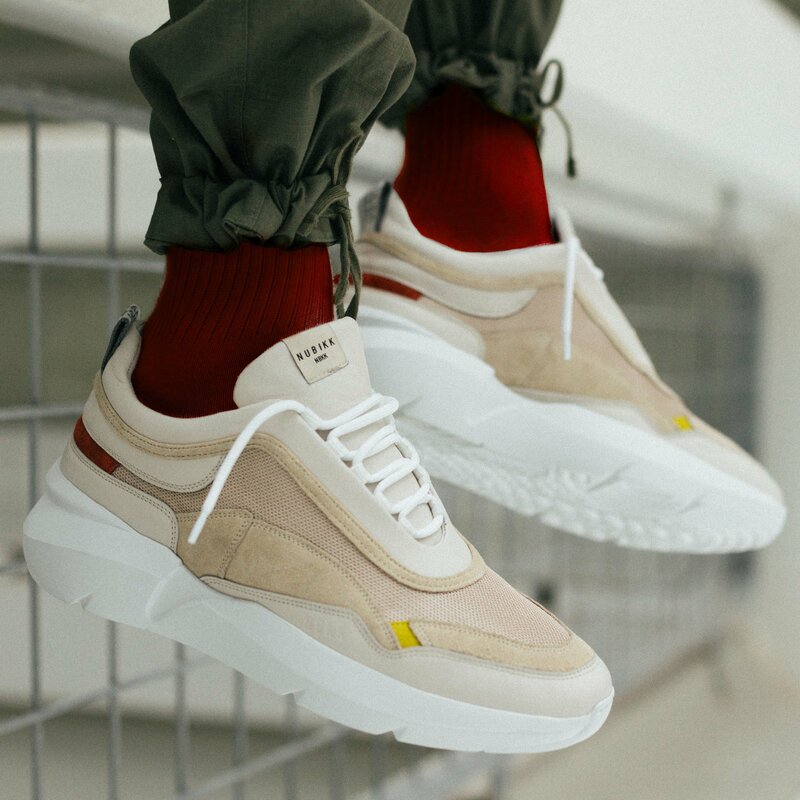 The beige leather trainers for men have a ‘blown up’ lightweight EVA sole with a distinctive double layer on the back, which provides ultimate comfort. In combination with the comfortable cushioned insole and unique Nubikk elements on the outer part, the Elven men trainers will be an inevitable part of your daily outfit. 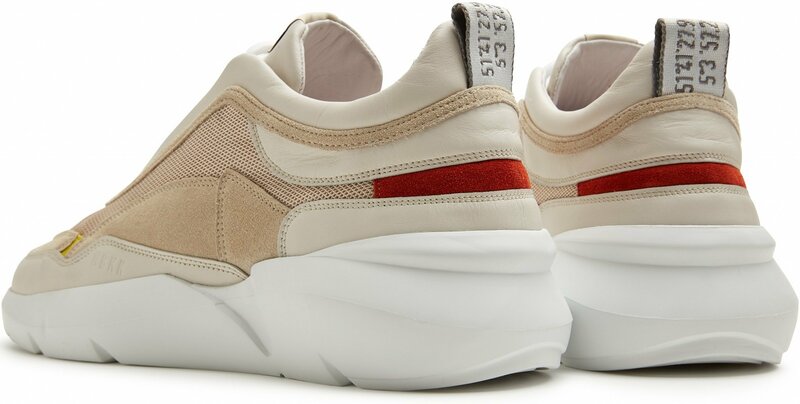 The breathable mesh front makes the beige men trainers just perfect for the summer. The backside of the beige trainers contains the recognizable Nubikk 'GPS tape' with the geographical coordinates of Nubikk's head office, where the trainers are designed. The Elven trainers are available in various color/material combinations including white / black leather, black nubuck and grey suede.